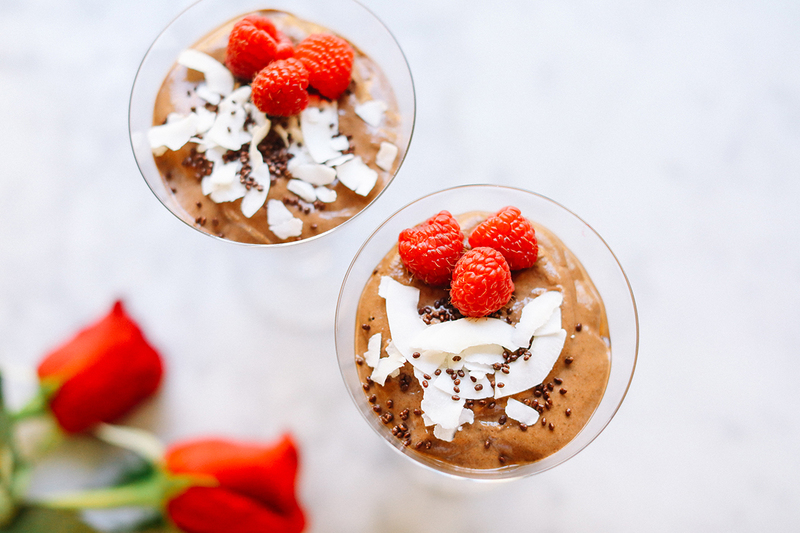 Blend all ingredients (except berries and coconut) in a high-speed blender until very smooth, about one minute. Pour into a glass jars or bowls and cover. Refrigerate overnight. Layer or top with fresh raspberries and coconut (or toppings of your choice).